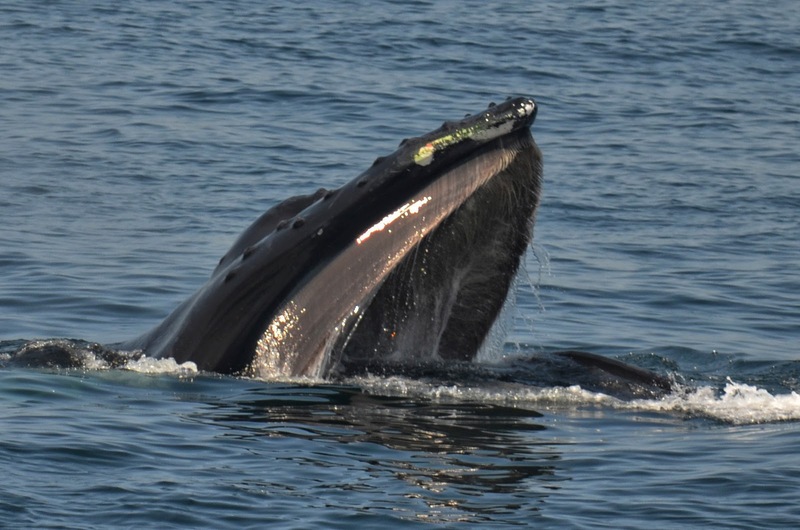 Today on board the Asteria for the 10am whale watch we headed out to the Northwest Corner of Stellwagen Bank where we had sightings the day before. Once on the bank we joined our other whale watch boat, Cetacea and many many whales. 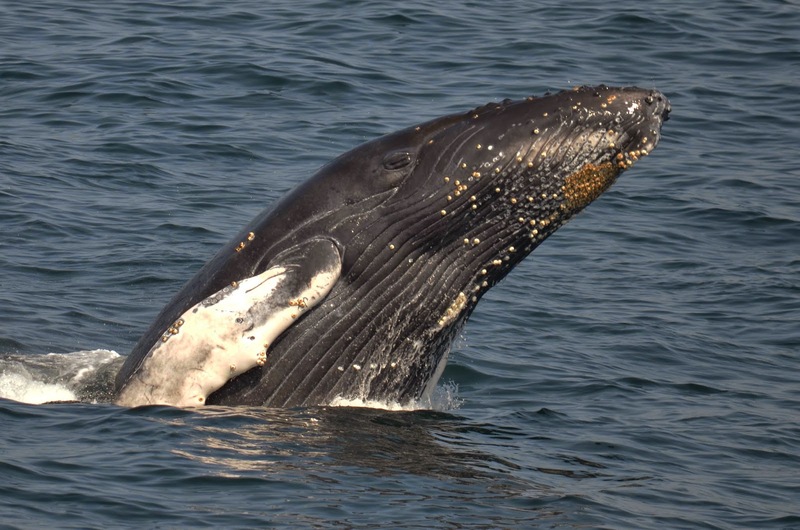 We estimated that there were about 13 whales in the area, traveling in every direction which made it difficult for our interns, Kira and Charlotte, to keep track of all the activity. Our data on location, behavior, and associations is important in the continued monitoring of this population. 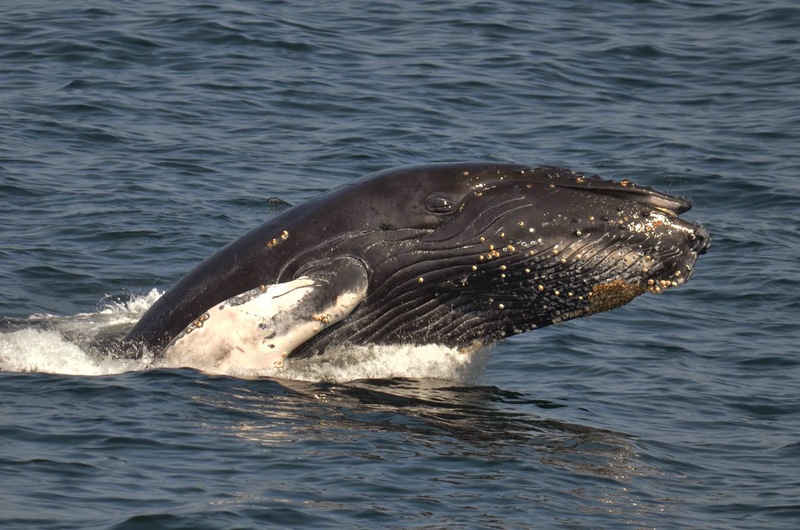 The 30+ years of data that have been collected here on Stellwagen Bank is incredibly important to not only protecting our Stellwagen whales but also to protecting humpbacks all over the world through the wealth of knowledge we continue to collect. 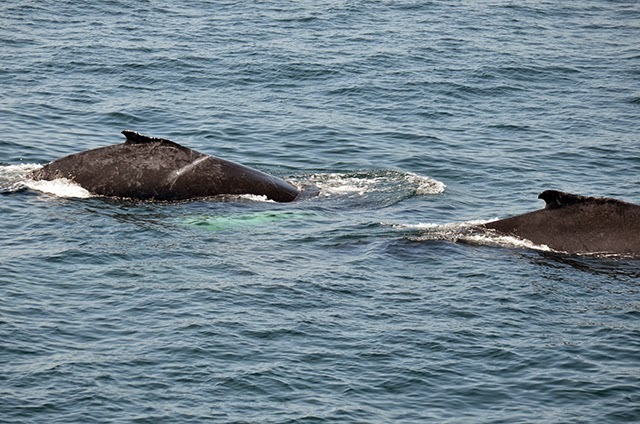 We identified a number of mother and calf pairs, the usual suspects: Nile and calf, Canopy and calf, and Milkweed and calf along with several adults including Bayou, Cajun, Pele, Eruption, Pepper, Aerospace and an unknown Type 5 (all black fluke) whale. We got great looks at all the whales, especially Milkweed’s calf which was particularly playful, coming right up to the boat. We ended the trip with a spectacular breach that looked like it came from adult female, Cajun! It was another great day on the Stellwagen. 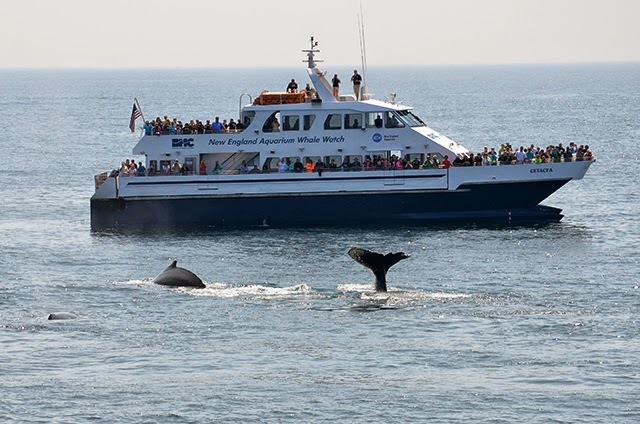 On today’s 12pm whale watch aboard the Aurora, we had a spectacular day out on the NW corner of Stellwagen! We ended up spotting and ID’ing 16 individuals: Wyoming, Eruption, Cajun (notice the chili pepper marking on her fluke above), Bayou, Nile and calf, Perseid and calf, Canopy and calf, Milkweed and calf, Aerospace, Pepper, Pele, and Soot. Our day started out with a bang with female humpback Pepper (the second named whale, first seen in ’76—Salt being the first, of course) repeatedly full-breaching next to our boat! This included some chin breaching as well. Our passengers were quite enthused and it made a great start to our trip! 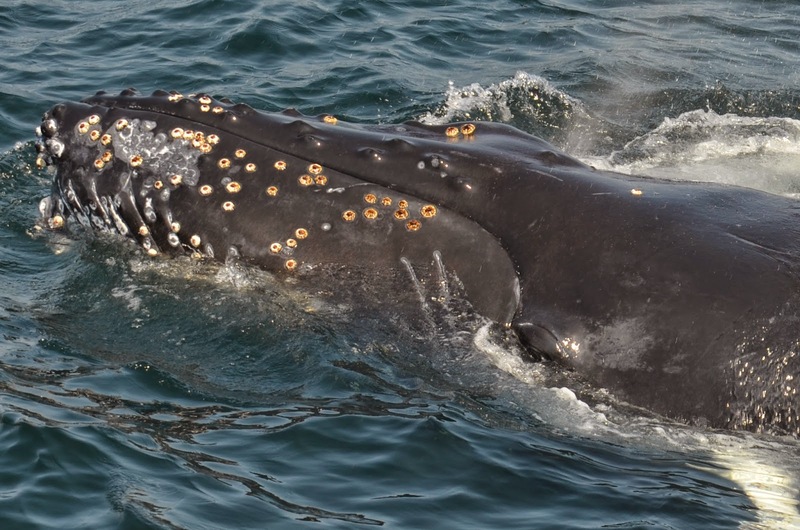 After Pepper slowed down, all of the scattered humpbacks in the area began to join up in bigger groups of 5-6 individual, swimming tightly together in sub-surface feeding groups. While the adults would dive down to feed, the calves would be playful and mill at the surface together – at one point we had Perseid’s calf, Milkweed’s calf, and Canopy’s calf associated together while the adults were down. Canopy’s calf also treated us to a headstand! 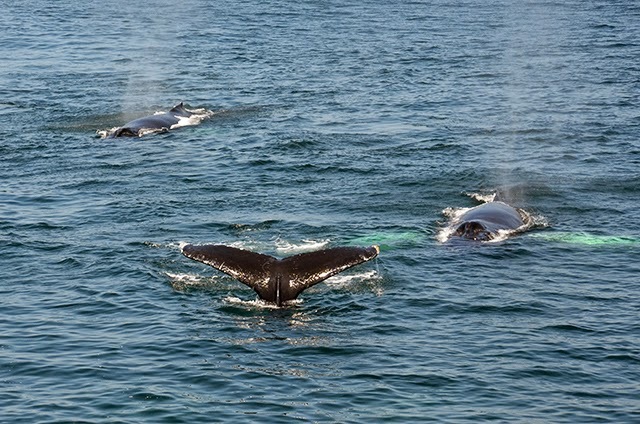 The Stellwagen whales put on quite a show for us today! 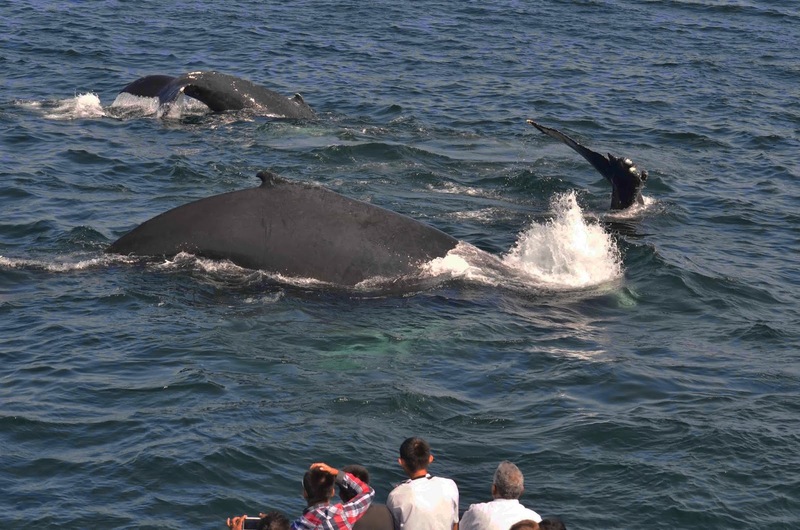 On our morning trip, the large group of humpbacks were right where we left them! In addition to the four mother calf pairs we saw yesterday, we also saw Cajun, Soot, Aerospace, Bayou, Eruption, Pele and Pepper on our morning whale watch! 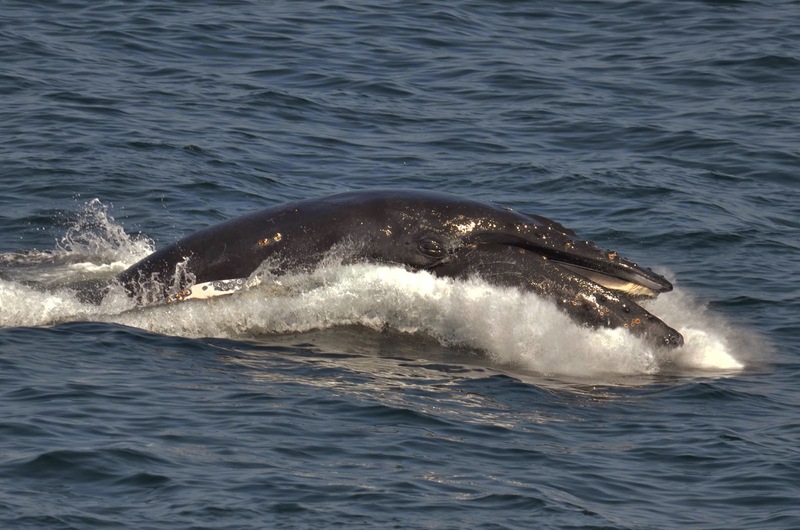 These humpbacks spent most of their time subsurface feeding. Bayou even surprised us with an enormous open mouth lunge right up out of the water! Canopy’s calf was very active and spent most of the time spyhopping and rolling around with the other calves while their moms and company were diving for fish. We were a little bit concerned about the behavior of Nile’s calf this morning. For about 20 minutes, her calf was floating on the surface of the water exhibiting very occasional signs of shallow breathing. The same calf was exhibiting similar behavior yesterday in shorter bouts, but these longer apparent spells had some of us very worried. At the end of this period, mother Nile came lunging up out of the water nearby and seemingly sparked her calf back to life. It’s very possible that there is no need for concern and that this is unusual but benign behavior. This afternoon, the calf was more active which was encouraging but we will continue to keep an eye out for Nile’s calf in the coming days to ensure its healthy. 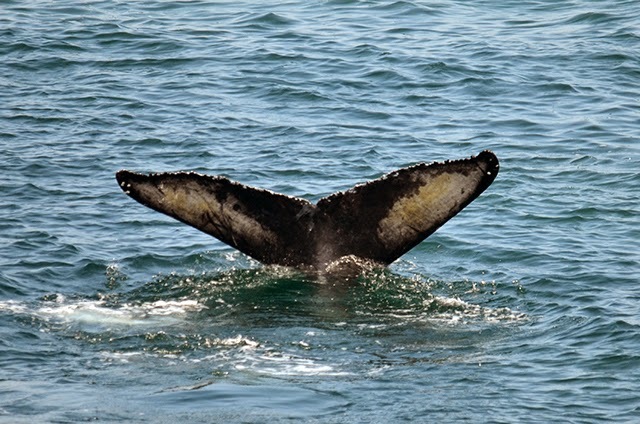 On our afternoon trip, we saw all 15 whales we saw in the morning in addition to a humpback named Wyoming. Many of the calves and adults were EXTREMELY active this afternoon and treated us to 30+ breaches and nonstop spyhopping! I have never seen anything like it! It was incredibly exciting for everyone on board! The photos speak for themselves.